A couple of weeks ago the Australia Trade Commission – Austrade – reported dramatic increases in Brazilian Government’s ‘Science without Borders’ (SWB) scholarship students to Australia. The latest scholarship rounds, saw a total of 3231 applications to study in Australia in 2014, a 150 percent increase compared to the last call. Austrade anticipates placement numbers to exceed 4500, placing Australia equal to its main rivals, Canada and Germany, and closer to top destinations, France, the US and the UK. There are two important drivers underpinning Brazil’s Science without Borders. First, its Brazil’s boldest attempt to lift its economy and address serious shortage of engineering, health sciences, life sciences and technology graduates. 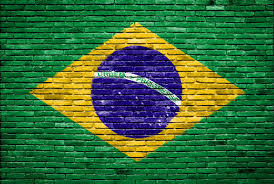 As Brazil prepares to host the 2014 World Cup and the 2016 Summer Olympics, the demand for science and technology graduates are increasingly becoming acute. Brazil already graduates more Arts than Engineering students. According to its Ministry of Science and Technology, the number of engineering graduates grew by 1% between 2001 and 2009, compared with 66% for Arts graduates. Second, it attempts to re-dress the government’s policy imbalance. In the past Brazil’s model of university development placed serving national needs above the pursuit of international recognition. The Government incentivized research, especially in the applied science, increased the number of doctoral degrees awarded – Brazil produce more doctorates than any other country in South America – and improve the quality of doctoral programs. Little was done to help universities internationalise. Even though Brazilians collaborating with foreign researchers have been increasing steadily since 1990, co-authorships with other local Brazilians have in fact increased significantly faster rate than co-authorship with other countries. The Science without Borders scholarship scheme will hopefully address the technical and policy imbalance. To cost about A$1.65 billion – a quarter of which will be paid by businesses and the rest by the government – the generous scheme will fund more than 100,000 Brazilian students to spend a year or so abroad at the best universities. Australia is set to benefit from the striking growth in student flows. More importantly, the Brazilian scheme offers Australian universities a unique opportunity to begin building a longer-term strategy into the world’s sixth largest economy and the world’s 10th largest R&D spending nation. The scheme not only supports short-term student mobility through study abroad, it fully funds PhDs students and two-way researcher mobility. Some universities are already actively partnering on some groundbreaking research with Brazil. The University of Queensland is working with three leading Brazilian institutions in assessing air quality in mining. The research will produce strategies that will ultimately lead to better and healthier environment for workforce and reduced costs. Monash University is leading an international collaboration to help eliminate dengue in Brazil, which have already affected more than 7 million – today Brazil leads the world in the number of dengue cases – with an average of 500,000 cases a year reported annually between 2004-2010. The Brazilian scheme provides a way of either ‘fueling’ new activities in support of strategic institutional partnerships or offering existing relationships greater depth.